Yadah FC centre-back, Dennis Dauda has been linked with a return to CAPS United, just six months after he left the club. Dauda joined Yadah after a fallout with the Harare Giants in June last year. The move proved to be a bad one as his game took a huge knock. According to NewsDay, the centre-back wants to rejoin Makepekepe. “He (Dauda) is keen to rejoin CAPS United. He has realised CAPS United can offer him the platform to take his football to another level,” a source told the newspaper. 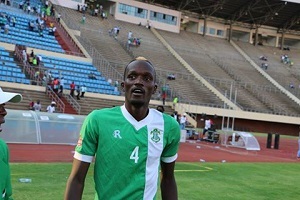 If a deal goes through, he becomes the second player to sign for CAPS United in this transfer window after Brian Muzondiwa completed his move two days ago.